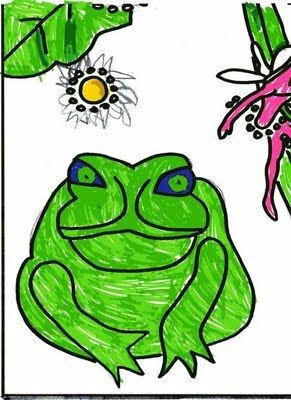 My five-year old son wanted to color Mr. Toad this evening, and asked that I post his picture because "it is so beautiful." Here is his interpretation of Mr. Toad's Garden. The proddy flower has become the sun!